After a car accident, it is important to be evaluated as soon as possible. It is best for you to be evaluated right away after a car accident, even if you are not experiencing severe pain. Have an evaluation if you are suffering from any type of discomfort. Dis-ease, in any form —from neck pain to depression—is significant. Injuries may take days or weeks to appear; even low speed accidents can cause long-term damage. Arrangements can be made for you to be seen by a provider on the same day of the accident. Heart Spring Health practitioners are well equipped to evaluate and begin treatment right away. We utilize a variety of modalities to ensure you receive the best care for your individual needs. Prompt, individualized care will decrease your recovery time. Heart Spring Health offers a Holistic approach to optimize your healing right away. At Heart Spring Health in Portland our providers work together as a team to get you out of pain. Our chiropractors do a thorough assessment assuring any structural injury or imbalance is detected. They will proceed with a treatment plan to assure your structural integrity will maximize a speedy and complete recover. Some components of a comprehensive holistic treatment strategy include: restoration of structural integrity, adequate movement and blood flow, reduction of inflammation, re-training and strengthening of muscles that have been inactive or injured, and stress reduction strategies and/or trauma processing. Acupuncture will relax you and your muscles before or after your chiropractic adjustments so your treatments last longer; it will also, stimulated the healing process and speed recovery. Massage will keep your muscles supple and relaxed, as well as, assure adequate blood movement for the recovery process. Movement therapy will help you re-strengthen muscles in preparation for living in the world again. Our naturopathic physicians help you keep inflammation down in your body to ensure maximum healing will occur. Naturopathic doctors play an important role in pain management and are reducing the use of opioids that is ruining the lives of so many Americans. In addition, you may have financial stressors such as increased medical costs, vehicle repair costs, and lost compensation if you needed to take time off of work. Additionally, it is not uncommon to have psychological trauma from an accident. All these stressors take a toll of your wellbeing. If you notice an increase in stress, tension, fear, depression, anxiety, etc it is time to seek support. Naturopathic doctors offer support for mental and emotional trauma, which, if not addressed, reduce your bodies ability to heal quickly and completely. At Heart Spring Health we have a full spectrum of providers that will support you on every level. We work together to get you back on your feet and living life optimally as quick as possible. 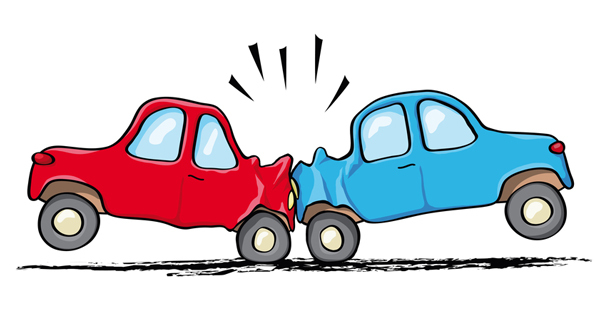 In Oregon, if you are involved in a motor vehicle accident you are entitled to have alternative care paid for by your car insurance policy regardless of fault. This means that Oregon personal injury protection (PIP) insurance covers treatment no matter who was at fault for the accident. At Heart Spring Health in Portland, Oregon we work with and/or refer you to attorneys that specialize in personal injury protection to ensure you get the care you need to achieve a full recovery.